Are you looking for a better way to improve brand recognition, attract new customers, or improve the customer experience? ProSource Signs, Inc. is your Plaistow sign company partner, crafting attractive, high-quality signs and graphics that are custom designed to do just that! 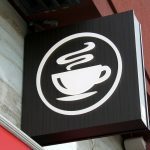 The signage you use has a significant impact on how a customer finds and feels about your company. 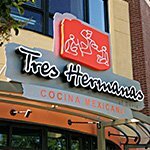 Having the right blend of cohesive indoor and outdoor signage is your key to success. 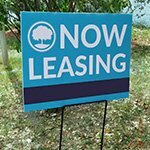 As potential customer’s pass by your facility, an eye-catching storefront sign will encourage them to enter your facility. Your indoor signage informs your visitors about your products and services in an attractive, professional way, ultimately turning potential customers into real customers. Conversely, inadequate or poor signage will deter customers from entering your facility, robbing you of the opportunity to inform your potential customers that they want and need your products or services. 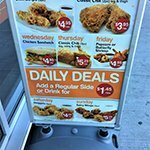 This makes choosing the right signage provider one of the most important decisions you make for the continued growth of your business. ProSource Signs, Inc. works with industry leaders throughout Plaistow and is eager to show you how our signage solutions can improve your bottom line through increased brand visibility and recognition. 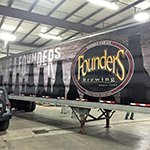 ProSource Signs, Inc. is a full-service signage shop that provides fabrication, as well as a full staff of talented designers and installers. This allows us to take your ideas, goals, and brand guidelines to design the signage solutions you need to grow your business. 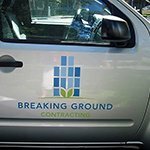 Once your project is done, you don’t have to look for an outside contractor to install your signage, we can do that, too. 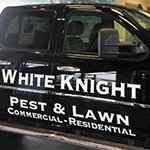 So no matter what you need, our team handles all of your signage needs. The environment is important to us, so we focus on producing sustainable and environmentally friendly products through efficient manufacturing and business practices. Our mission is to conserve energy and reduce material waste whenever possible. 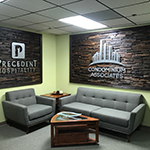 When it comes to providing superior signage solutions, ProSource Signs, Inc. has the experience, tools, and resources you need. 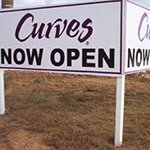 As a leading Plaistow sign manufacturing company, we create a variety of signs from storefront signs to wall murals, yard signs to pole signs. 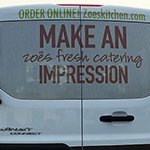 Our goal is to be your go-to signage provider for all of your business needs. ProSource Signs, Inc. assists you with all of your business sign needs and services. 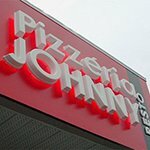 We have a team of talented designers, fabricators, and installers eager to assist you with your signage project. Located right here in Plaistow, we use our state-of-the-art equipment to fabricate superior signage solutions for all of your business needs and goals. Our talented, experienced professionals are dedicated to crafting signs that fit your business brand and goals. 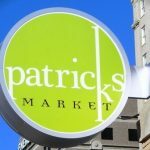 We utilize your branding, logo, and ideas to bring your sign to life. 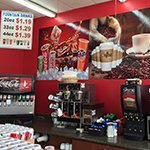 Whether you’re improving the professionalism of your storefront sign, assisting customers to navigate your facility, or promoting special events and promotions, ProSource Signs, Inc. will create custom-made signs for any occasion. 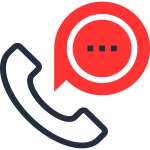 Our team of creative and industrious designers, fabricators and installers are all eager to help you take your goals and ideas, and turn them into reality. 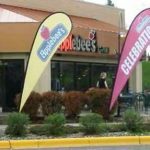 For your business to grow, you need to have impactful, high-quality signs to promote customer awareness through increased visibility and ProSource Signs, Inc. is here to help you achieve those goals. 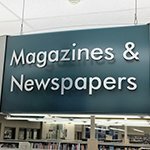 Every business has unique needs and requirements; however many businesses will fall into categories based on similarities such as retail stores, manufacturing, non-profit organizations, professional services/office buildings, or service providers. 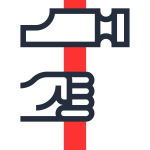 Working with various industries, the insight we’ve gained on how each industry utilizes their facilities to attract, engage, and assist new customers, clients, or guests allows us to make effective recommendations to suit your particular business. Improving brand recognition, attracting your target audience, and increasing visibility can all prove to be challenging. 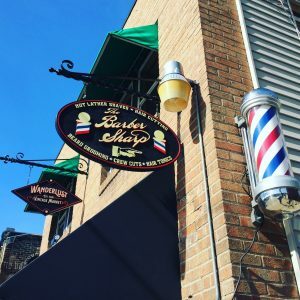 The signage blend you use for your business from your storefront sign to your restroom signs plays a significant role in customer perception and satisfaction. Equally important is choosing the right company to provide you with your signage needs. 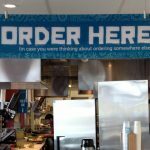 ProSource Signs, Inc. provides professionally crafted signs that show your customers you are attentive to detail and thoughtful, all of which are important to a positive customer experience. 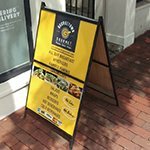 Your exterior signage is key to promoting your business and brand. 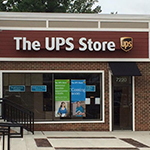 ProSource Signs, Inc. creates attractive, high-quality outdoor signs that increase your brand recognition and entice potential customers to take the first step towards doing business with you. 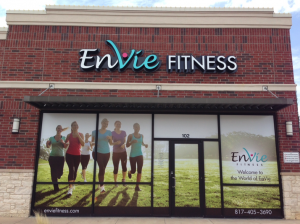 An eye-catching storefront sign will help you increase foot traffic and accomplish your business goals. 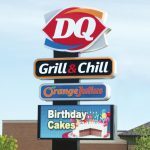 From window signs to channel letter signs, projecting signs, LED signs, and monument signs, we will create the signage elements you need to improve brand visibility, ultimately leading to increased foot traffic and more customers, clients, and sales. 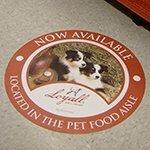 Your outdoor signs are what drives your customers to visit your facility; your indoor signs should deliver on that promise. The signage blend you use should be cohesive, attractive, and impactful with your other signage elements and brand message. Every business has different needs, and the signs you use should reflect your business needs and goals. 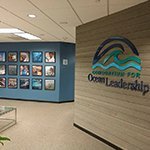 Retail stores require promotional and product signage, while offices can benefit from lobby signage. Manufacturing plants require safe practice signage, while schools often use educational signage. Every facility needs wayfinding and ADA signage. 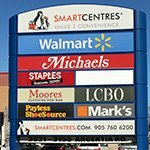 We not only create all of these signage solutions, but we create them quickly, efficiently, and designed to fit your particular company. 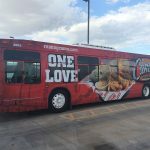 When you need to increase your brand visibility and create a cohesive signage blend that extends beyond your facility, nothing compares to the versatility that vehicle wraps offer. 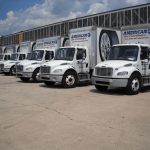 ProSource Signs, Inc. is your go-to signage shop for all of your vehicle signage needs. We provide complete design, fabrication, and installation services. 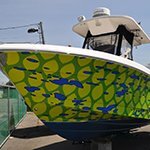 Get branded, eye-catching wraps for all of your commercial vehicle types, including trucks, trailers, vans, semis, ATVs and even boats! 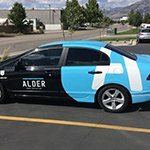 No matter where your vehicles go, or where they’re parked, your wrapped vehicle will spread the word about your products and services to all who see it. 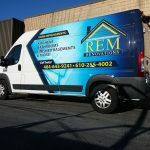 Vehicle wraps provide an ideal solution to any company who routinely visits clients homes such as cable repair companies, locksmiths, carpet cleaners, plumbers, and many others. ProSource Signs, Inc. creates custom signs designed for you. 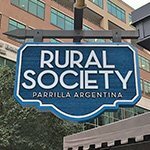 Our mission is to create impactful custom signs that complement your physical location, brand, needs, and budget. 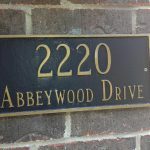 Custom signs provide you the opportunity to display the character and personality of your brand. You can change everything from colors to fonts and include any messages or logos you want to give your brand the reach it needs to boost your business growth. 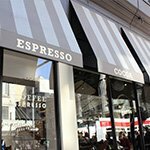 Whether you need an attractive storefront sign, custom ADA signage or enticing window displays, we will design, fabricate and install all of your signage needs. As a leading signage company, we create the custom signage elements you want and need to increase brand awareness and customer traffic. 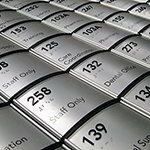 Whether you only need a single sign or a collection of signage elements, ProSource Signs, Inc. will craft the perfect signage for your unique needs. 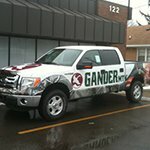 We start with a free expert consultation, where we discuss your signage needs to get a firm understanding of your goals. We want your signage project to be exactly what you need, so we take the time to get to know your business, team, brand, and space. We will discuss what you need, when you need it, and what we can do to help support you with attractive, impactful signs and graphics. 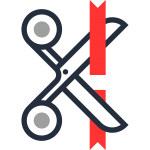 Once the initial consultation is complete, we take your ideas to our graphic designers, who will review any existing logo or creative files you have. 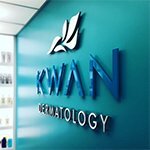 Once we have conceptualized a design that we feel best represents your brand elements, we will provide a sample proof for you to review and change as you wish. 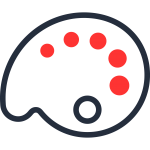 This allows you to get a feel for what your finalized project would look like. 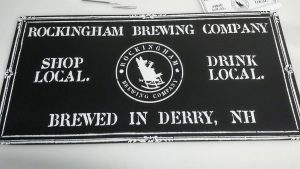 The next step is the manufacturing of your new sign. We manage all of our projects right here at our Plaistow, NH sign company. 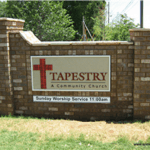 Utilizing the latest equipment and materials, we fabricate high-quality, attractive signage. We are dedicated to our craft and use efficient production methods to save you time and money, while reducing our environmental impact. A full-service shop, we source any items needed to finish your project such as banner stands, holders, and electrical elements. Poorly installed signage does nothing to help promote your business and brand. 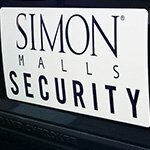 We provide professional installation to ensure that your sign is safe, secure, properly placed, and attractively finished. 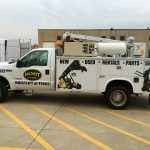 Our team of installers handles everything needed to install your project including assistance with any necessary permits if needed for your signage type, placement, or business location. 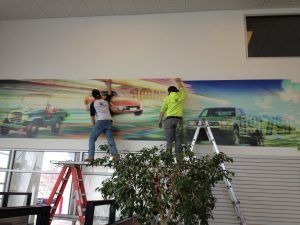 At ProSource Signs, Inc., we understand how signs can impact your customers perspective. We want the signs you utilize to put your company in the best possible light to help you attract, retain, and convert visitors to customers. We are committed to your satisfaction. We work with you on every step of your signage project from initial consultation to installation to ensure that your sign matches your business needs and guidelines. 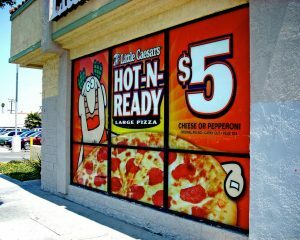 Your sign should reflect your business, not blend into the background as cookie cutter signs tend to do. ProSource Signs, Inc. is here to create the custom, high-quality signs you want and need to continue to grow as a business. 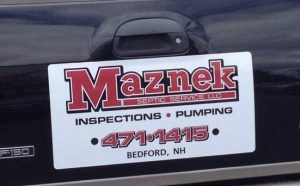 Contact ProSource Signs, Inc. today at (603) 346-4859 for your Free Consultation with a Signs & Graphics expert!